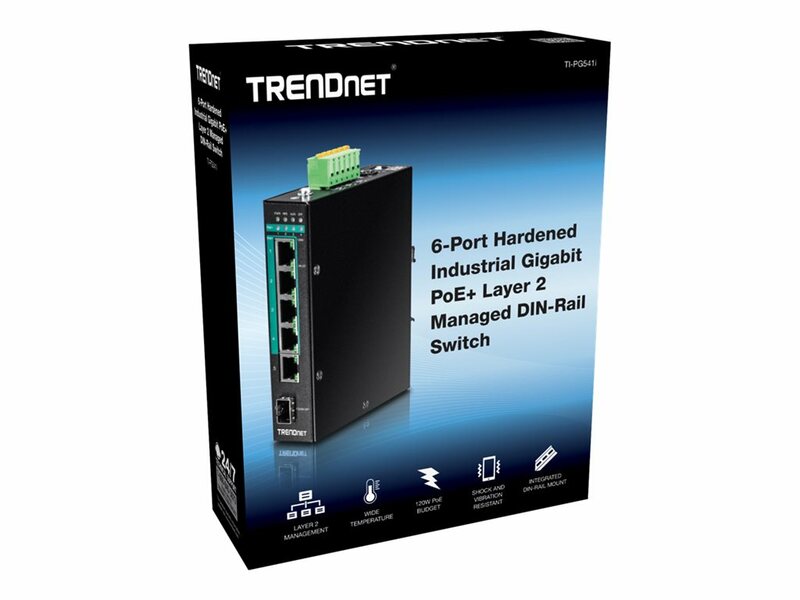 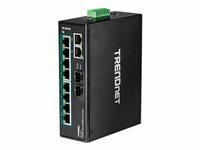 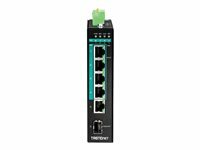 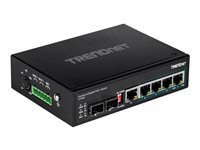 TRENDnet's 6-port hardened industrial Gigabit PoE+ switch, model TI-PG541i, has four Gigabit PoE+ ports, one Gigabit port, and one Gigabit SFP slot. 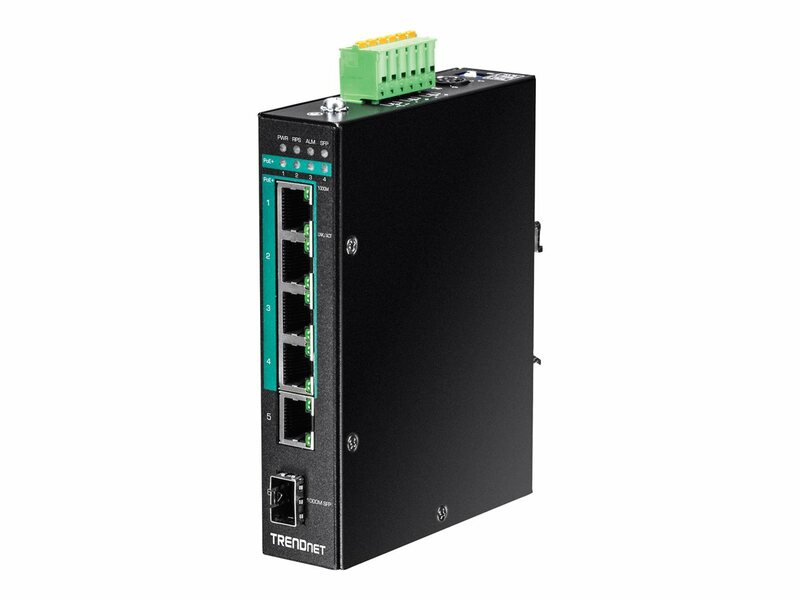 The switch is equipped with an IP30-rated metal enclosure and designed to withstand a high degree of vibration, shock, protection against ESD/EMI/surge, and operate within a wide temperature range for harsh environments. 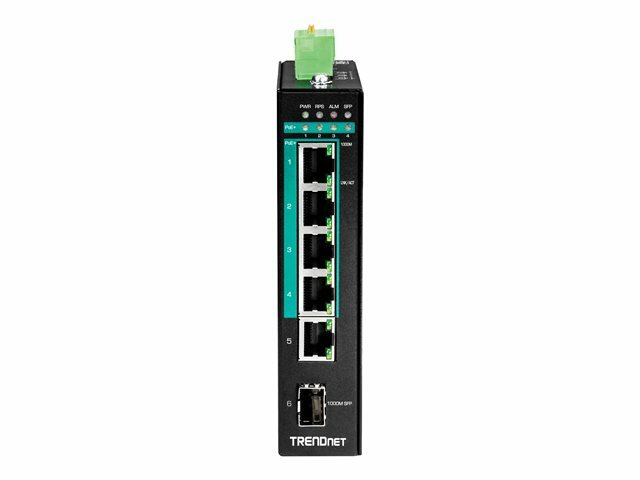 L2 management includes features such as PoE port control, VLAN, multicast, and QoS which allow for network integration flexibility. Equipped with a rugged IP30-rated enclosure and designed to withstand a high degree of vibration, shock, protection against ESD/EMI/surge, and operate with a wide temperature range for harsh environments. 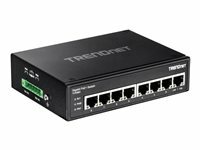 Managed features include PoE per port control/priority/scheduling/power delay, IGMP snooping, per port bandwidth control/802.1p/DSCP/queue scheduling, and SNMP trap/RMON/SMTP alert/syslog/port mirror for monitoring and flexible network integration. 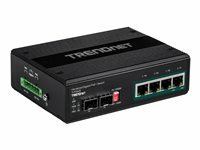 It features dual redundant power inputs from external power sources and an output alarm relay to indicate the event of input power failure.